Paper, glue, double-sided foam tape. Cut with X-acto knife. 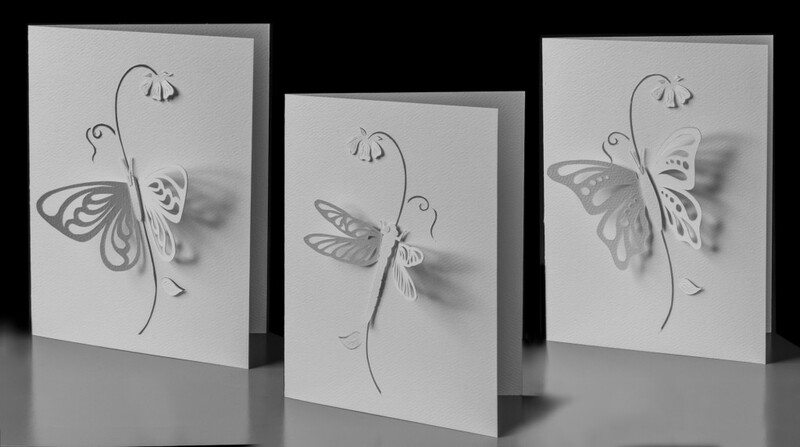 Wings loosely attached through card to allow movement.